Brief description: Romans – The revelation of God’s righteousness in salvation through Jesus the Christ for all persons. How should the salvation revealed in Jesus the Christ influence the way we live & understand our relationship with God? It was mainly regarding this question that Paul wrote to the church in Rome sometime around 55 AD. 01) Who needs to be saved? 02) What can people do to be saved? 03) What is the source of salvation? 04) What is the practical result of faith in Christians’ lives? 05) As Christians, can we trust God, or must we fear his judgement? The letter to the Romans provides the most extensive discussion in the New Testament of several doctrines that can deepen our theological understanding & Christian commitment. The righteousness of God, the salvation of Christ brings, & the work of the Holy Spirit are 3 important emphases. The specific circumstances of modern life & the complex problems they present for Christians may be difficult, but the distinctive doctrines of Romans have abiding value. 01) The righteousness of God, understood as God’s love in action setting things right, summons us as Christians to realise that God’s intention in declaring us righteous is that we become righteous. 02) The salvation that the power of God brought to the Romans is also operative in the world today. 03) The doctrine of the Holy Spirit in Romans summons us to a Christian life centred in a declaration of war on sin in our lives & an unending struggle to achieve righteousness in terms of doing what God wants done. 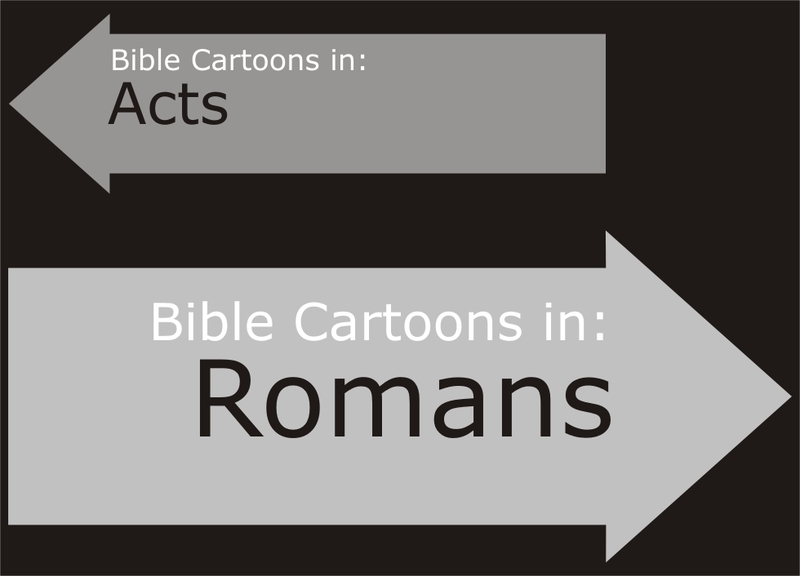 The book of Romans is the Apostle Paul’s masterpiece, a carefully constructed summary of Christian theology. Romans explains God’s plan of salvation by grace, through faith in Jesus Christ. Divinely inspired, Paul passed on truths that are followed by believers to this day. Our natural inclination to sin separates us from God. We cannot make ourselves right or earn salvation on our own. In his loving kindness, God provided a way to redeem us through his Son Jesus Christ, who paid our sin-debt through his sacrificial death. By accepting Christ as Savior and believing in his atoning work, we are saved. Jesus’ righteousness is credited to us. The Holy Spirit works in us to help us avoid sin and grow in holiness. God’s grace, not keeping the law, makes us acceptable. God’s plan is just and fair. Both Jews and Gentiles are eligible to come to Christ and receive salvation. Sincere service to Christ is an appropriate way to express our gratitude to God for his gift of salvation. When we work together with other members of the body of Christ, the church, we build each other up and give honor and glory to God. Therefore, since we have been justified through faith, we have peace with God through our Lord Jesus Christ.